Why Be an OCC-CCCO Member? Make valuable connections with others who share your professional interests through online and in-person networking opportunities. Follow the Blog: Professional development information sharing right to your inbox. Directory: Locate colleagues and connect with field experts within our network. Professional Development: Meet other OCC-CCCO members face-to-face at the annual Joint Regional Meeting, AGM and other OCC-CCCO events. An OCC-CCCO member currently works at a Ontario College of Applied Arts & Technology in a full-time, part-time or sessional capacity. They fall under the “Counsellor” faculty description and the primary common work function is providing psychotherapeutic/mental health support to college students. Membership provides value to the membership by helping to bring forward expertise, experience and ideas for the next generation of college counsellors and related professionals. Some counsellors across the Ontario College system also provide additional services such as the following: Career Counselling, Academic Counselling and Disability support counselling, etc. although this is not the primary function of their role. Managers and directors of these members are very welcome to participate as members. Professional Development/Networking Opportunities: Attend AGM, JRM, CCVPS Conference, etc. Travel Subsidy for executive members and members (as available). Access to Grants: Research and Program Development related to post-secondary counselling. An OCC-CCCO Affiliate Member currently works in a post-secondary institution (within Ontario or Canada Wide) in a full-time, part-time or sessional capacity; where the primary function of their role involves student mental health/wellness, accessibility/disability counselling, career counselling, advising or coaching. Affiliate membership provides value to the membership by helping to bring forward expertise, experience and ideas for the next generation of college counsellors and related professionals. Managers and directors of these members are very welcome to participate as members. 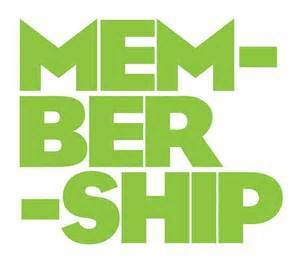 Already a Member? Please use the same form but indicate that this is an information update in the Questions/Comments box at bottom of form. *Please note that the information gathered on the registration form is kept private and only used to help support our members interests. If you choose to have some of your information included in the directory, only your contact information (Name, Address, Email, Phone, College and member type) will be published in the OCC-CCCO Directory. Why Regulation May be Important to You? If you are a member of CCPA (Canadian Counselling and Psychotherapy Association), you might be interested in the (new) Chapter for Post-Secondary Counsellors. The intention of the Post-Secondary Chapter will be to bring together counsellors who work in colleges and universities’ counselling services. It will allow for discussions, and exchange of information on issues in the area of post-secondary counselling. This new Chapter will provide a forum for ongoing information sharing and professional development (skill and knowledge-based). The cost to join the Chapter is $10,00 and will only be processed after payment is collected from at least 50 members. If you are interested in joining, I will forward you the details. You might also be interested in joining the Chapter or Chapter’s executive, develop its constitution and bylaws as well as its mission statement.